The National Redress Scheme has been introduced to acknowledge and support people who have experienced institutional child sexual abuse. The UPA of New South Wales has joined the Scheme. We welcome contact from any former children in UPA care through the National Redress Scheme. Further information is available by visiting www.nationalredress.gov.au or by calling the National Redress Scheme line on 1800 737 377. 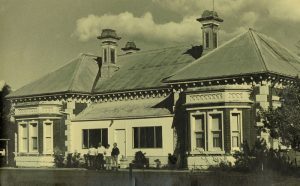 The United Protestant Association of NSW (UPA) established 14 children’s homes between 1940 and the early 1980s, when these larger institutional homes were wound down and closed. From that time until the mid 1990’s we also managed a number of smaller Group Homes. Over those two periods, some homes were well managed and some were not. We sought to be trusted by children, parents, and the State, but we freely acknowledge that in many of our homes we failed to provide the safe and nurturing environment that children need to thrive. Emotional, physical and sexual abuse did occur in those homes. We are ashamed of those failures and offer our sincere and deep apology for the harm caused. Today, we seek to make amends by listening and believing, offering access to records, reporting to authorities, funding counselling services, making redress payments. We welcome contact from any person who once resided in a UPA children’s home. Whenever we receive an allegation of abuse we work with NSW Police to ensure that each person has the opportunity to be heard and information gathered. We are committed to ensuring privacy is protected and that care, support and services are readily available. Rathgar & Rathmore Homes, Grafton. Wattle Place – the NSW Support Service for Forgotten Australians, is operated by Relationships Australia. Centrally located at Harris Park in western Sydney, close to rail and bus transport links, Wattle Place provides counselling and a range of other support for people who are over the age of 25 and were in care in NSW between the 1920s and 1990s, regardless of where they now live. Wattle Place can provide you with advice and support on accessing records about your time in out-of-home care. Wattle Place can be contacted on 1800 663 844 (freecall from a fixed line phone) or 02 9633 5395. The Find and Connect web address is www.findandconnect.gov.au. CLAN is a national, not-for-profit advocacy organization for mature-aged care leavers based in Bankstown, NSW. Support services provided by CLAN to its members and other mature aged care leavers who have experienced institutional care include the provision of information, advocacy, telephone support, referrals and assistance with file reading. Other services provided by CLAN include a bi-monthly newsletter, library, museum and a website. CLAN can be contacted on 1800 008 774 (freecall from a fixed line phone) or 02 9709 4520 or 0425 204 747, or at support@clan.org.au. The website is www.clan.org.au.